The easiest way to do 3 interval cycle will be using Orange because it is low cost to do a few rounds to same area and the impression is stronger compare to just flyer alone. Orange Flyer Distribution has been working with customers to do distribution and also do review on jobs that we are working on. We realise there are 2 main model we can have to do. 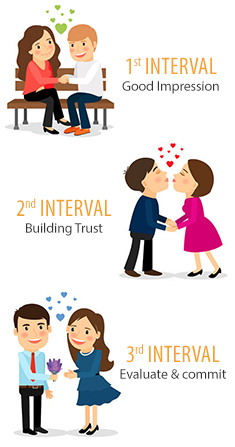 1) 3 interval cycle - We have done up the test on the frequency of interval of return to same group of customers. Firstly we will send a A5 flyer or a door hanger, secondly we send out a brochure which is A4 folded DL with more information details and thirdly we send them a trial on product and services. The leads collection rate is so much higher! 2) We further test the method of it for different industries, however, the result tend to be different. We realise we need to look into the AREA of Expertise in the campaign. Some need more effort to penetrate for awareness. Hence, we also need to do street survey and more outreach activities. Flyer distribution is a long term marketing effort that needs at least 3 intervals to see effect. So if you are planning to do it once only to test market, do not even start as you will not have response. Most prospects need 3 impressions to perceive the value (Sub-conscious) and belief (Conscious) as true. Just an example: A guy going for first date. If you’re dating her the first time, do not bring her a wedding ring, you will be rejected and lost your date! E - for Extension/enlarge/expand - how your customer will extend your promotion or services to more potential customers. Word of mouth. A - for Accumulation - We need to accumulate the effort of all campaign digitally and work on digital marketing as well. We need to accumulate customer feedback and contact during good and bad times. If you are reading this, you should get yourself ready to do your flyer. If you still do not have your design ready, please see here. If you need advise or get us to do it for you, we are most welcome. See iKen Design Kit here for help: http://www.orangeflyerdistribution.com/free-design-kit/ Get ready to do your Orange flyer distribution, see which offer fits you the most here!